Former President Olusegun Obasanjo has dismissed an allegation by Nigeria’s ruling All Progressives Congress that he had been mounting pressure on American authorities to expunge an alleged corruption case against opposition presidential candidate, Atiku Abubakar. The APC said Mr Abubakar is wanted in the United States for fraud, claiming Mr Obasanjo was scheming to have the alleged charges dropped in order to clear the path for Mr Abubakar’s entry into that country. Mr Abubakar has not been able to enter the U.S. since at least 2007 when he completed his two-term as vice-president, serving under Mr Obasanjo the entire eight years. 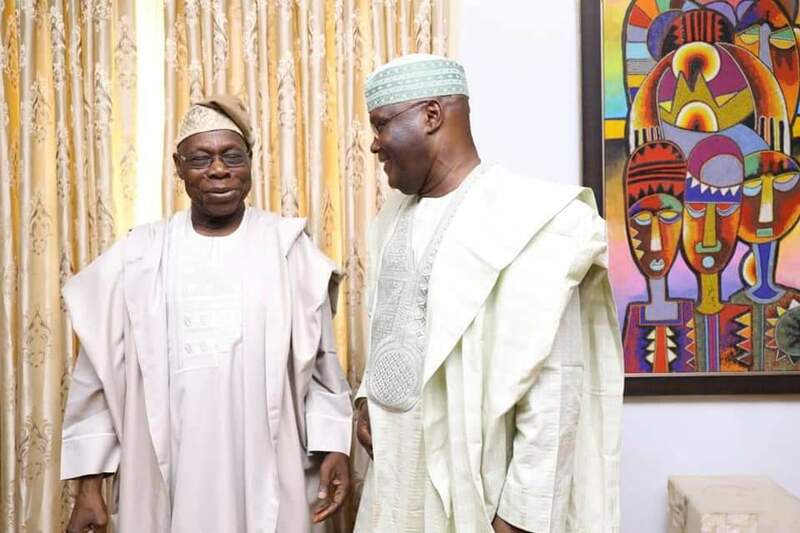 Mr Obasanjo and Mr Abubakar had been fiercely antagonistic of one another for several years, with the former president insisting he would never support his ex-vice-president’s political ambition. The crisis was, however, resolved earlier this week when Mr Abubakar and a host of political and religious leaders visited him at home in Abeokuta and pleaded with him for forgiveness. Mr Obasanjo acquiesced, and promptly endorsed Mr Abubakar, who had a week ago emerged the presidential candidate of the main opposition Peoples Democratic Party. 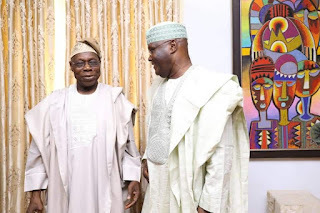 The ruling party did not accompany its claim with any evidence, and Mr Obasanjo’s spokesperson took its leaders to task in an interaction with PREMIUM TIMES Saturday afternoon. “It is unfortunate that they are trying to distract the attention of Nigerians in the lead up to a general election rather than focus on campaigning on serious issues to lift the country out of its current state,” Mr Akinyemi added. Mr Abubakar was named in a broadband contract scandal while in office by American and Nigerian authorities, but he was never charged to court, much less found guilty, of the charges. Still, his inability to travel to the U.S. for over a decade has made him vulnerable to corruption accusations, amidst broadening insinuations that corruption was responsible. The presidential candidate has relentlessly pushed back against the allegations, and publicly said on several occasions that he applied for the U.S. visa but was declined more than once. U.S. Embassy in Nigeria and the State Department in Washington have declined to clarify issues around Mr Abubakar’s visa, despite numerous media enquiries.